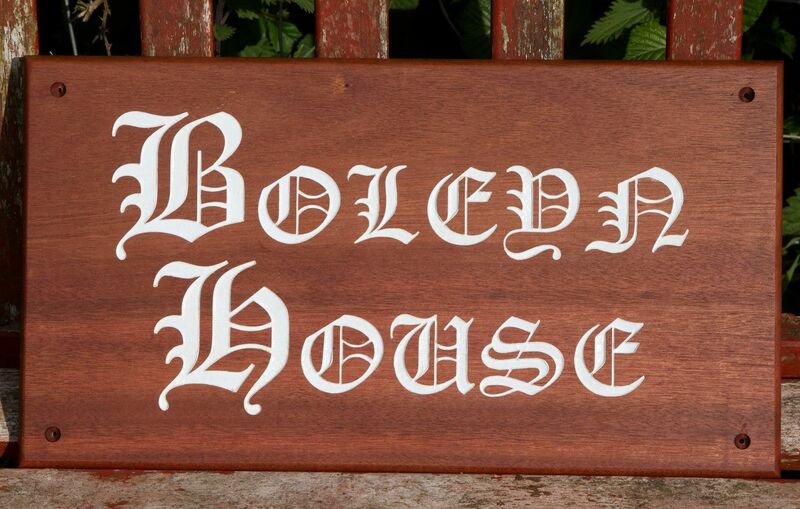 Should none of our standard Sapele house name plates suit your requirements, then why not take a look at our made to measure range. Sapele is an extremely hardwood, even harder the oak. It gives a lovely mahogany-like colour and is a very good for value timber. It is important to keep sapele maintained though and therefore we recommend that several coats of satin varnish is used in order to maintain and protect the timber. You can pay online with a card, by phone, by cheque, by BACS or by Amazon. Its rich reddish-brown colour give it a mahogany-like appearance. Sapele is a harder would than oak but not as durable.